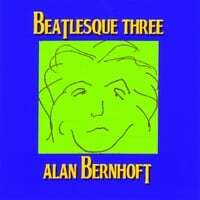 Alan Bernhoft-Beatlesque Three. Bernhoft is back with the latest installment in his "Beatlesque" series. The first two primarily mined the early Beatles sound, so he's moved on to the Sgt Pepper/Magical Mystery Tour/White Album era on this batch. The results are engaging, with the McCartney side of things represented with "Sunny Sky", which doesn't have a direct Beatles counterpart, and "Honey Love", which does recall "Honey Pie" with its old-timey opening. Lennon is given voice with "Bored", which draws on "I Am the Walrus" for inspiration, and "Say in Silence", which has a "Dear Prudence" vibe. And is "Chun Li" Bernhoft's answer to Yoko Ono? Finally, no nakedly Beatlesque effort like this is complete without a song titled "Colliding Circles", the name of a supposed long-lost Beatles track. It's all fun, in a Rutles-esque kind of way. 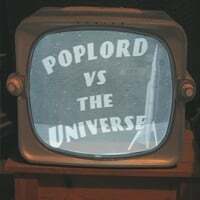 Poplord-Poplord vs The Universe. Also back with a new disc is California's Poplord, whom we last heard from in 2008's Full/Filled. Here they continue with their bright power pop influenced by the likes of Squeeze, XTC, and Elvis Costello. "Flower Bomb" is the kind of clever, catchy track those three artists have been known for, as is "Death", probably the happiest-sounding song to bear that name. "Save the Monkey" is possibly the best thing here, with its wisecracking lyrics, playful synths, and amusing falsetto chorus. It sounds like a lost college radio track from the 80s, back before the hipsters took over. Elsewhere, "Mr. Wesley" has the feel of a Kinks' character sketch, and "CD Closer" serves nicely as a cd closer and a meta-commentary. A fine return, and I for one welcome our new Poplord album.